This Saturday the 1st team, with a depleted side, played against Wellingborough School and won 37 – 27. The partnership of Hattie Lawrie and Isobel Hose continued to work well and Wellingborough’s defence struggled to react to their fast-effective play in the D. In defence Sophie Bradley, Nicole Spencer and Sharmel Yapa worked well to turn over ball. The third quarter saw some unforced errors from Ratcliffe which gave Wellingborough the opportunity to come back into the game. Going into the 4th quarter Ratcliffe led by 6. With great leadership from Nicole Spencer on court and patience in attack Ratcliffe started to pull away to take a convincing win. Player of the Match and Coaches’ Player of the Match was Isobel Hose for her fantastic attacking and defensive play throughout. The 2nd team faced Wellingborough School and won 18 – 12. Due to strong winds, the girls had to adapt to the weather conditions and concentrate on short passes, which they did well. The defensive unit showed some exceptional resilience in the circle, creating multiple turnovers and making the opposing shooters shoot from very far out. Players’ Player was awarded to Ihu Osuji and Coaches’ Player was awarded to both Abi Santaney and Annabel Mills, who both worked extremely well showing good composure. The 3rd team lost 11 – 16 in a close fought game against Wellingborough School. Due to the windy conditions the girls had to change to a short passing game and all players rose to the challenge. Spirited performances from defenders Mimi Khan and India Clark made it difficult for the opposition shooters, whilst the Ratcliffe attack fed some great balls into shooters Charlotte Bailey and Mia Baker. Player of the Match was Lauren Brown whilst Coaches’ Player goes to the full squad. The 4th team lost 17 – 7 to a strong Wellingborough side in difficult weather conditions. The girls played some good netball despite this, and kept fighting till the end of the game. Player of the Match goes to Sophie Brown. On Saturday the U15A team travelled to Wellingborough and lost 25 – 15. The girls had a slow start which Wellingborough capitalized on and took the early lead. Ratcliffe played much better in the second quarter. Millie Chapman, Maddi Brant and Elise Atkinson worked fantastically as a defensive unit, with Daata Apiafi picking up the interceptions in the circle. As Annie-Rose Reddin sustained an injury in the first quarter, Annie Bridgewood had to step up to GA. Her movement and shooting were superb. Rachel Astill timed her movement within the circle, ensuring she was always free at the correct time. Despite these improvements, the slow start proved, with Wellingborough taking the win. Player of the Match went to Elise Atkinson. Coaches’ Player of the Match went to Daata Apiafi. 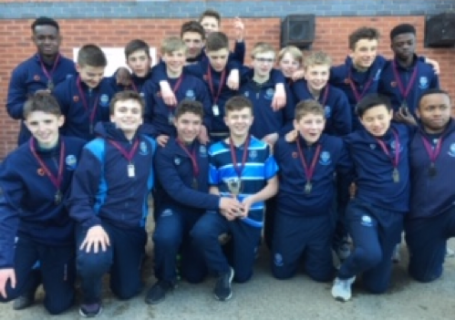 The U15B team played against Wellingborough School this Saturday and won 12 – 10. It was a fantastic performance by the girls. They were able to adapt against the high winds, being patience when feeding to the shooters close to the post. The defence also worked well together to put pressure on the Wellingborough shooters. Player of the Match was Meg Williams. The U14A team travelled to Wellingborough and lost 14 – 4. In windy conditions, the score line doesn’t really reflect the true nature of the match. Ratcliiffe played well, as Holly Clark-Prat stepped up to play centre, linking up well with both the defence and attack. Player of the Match, Eleni was again very strong, winning numerous interceptions and working well with the defence to keep the shooters out. Unfortunately for us, even in the wind, their shooters were very good at long range shots. The attack worked tirelessly but we just could quite feed the ball in to the right places, Players’ Player’s of the Match, as voted by the opposition were both shooters, Tallauh Wood and Annie Jarvis. A good game in tough conditions. 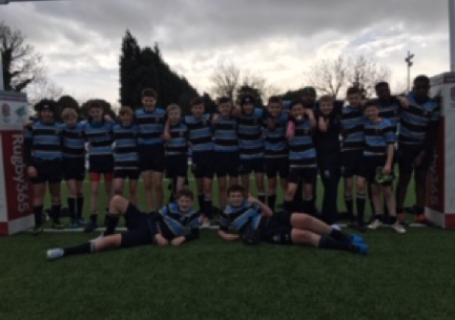 The U14 B team travelled to Wellingborough School and lost narrowly 15 – 12. With extreme weather conditions controlling and redirecting many passes and shots, both teams dealt well with the wind. With only a goal between the two teams throughout the whole match, Wellingborough managed to pull away in the final couple of minutes. Coaches’ Players of the Match goes to Elena Griffiths for following some fantastic offensive feeds into the shooting circle and Player of the Match goes to Olivia Chapman after she excelled in tough shooting conditions. The U13A team faced Wellingborough School in very tough, windy conditions and lost 12 – 6. The girls struggled to get into a flow in the first half, with Katherine McCrindell and Sophie Walker finding it difficult to find the net. They defended well and managed to get numerous tips down the court, however Wellingborough took their chances well and managed to come through with the win. Player of the Match was awarded to Jessie Bardsley. The U13B’s faced an away fixture against Wellingborough School and lost 10 – 1. The conditions made for an extremely difficult game of Netball for both sides with the wind proving difficult to contend with. The girls put in a great performance, however, were beaten on the day by the better team with the girls unfortunately losing the fixture 10 – 1. Players’ Player goes to Millie Woan and Coaches’ Player goes to Connie Colville. On Saturday, the U12A team travelled to Wellingborough School and lost 34 – 15. The girls started slowly resulting in Wellingborough taking an early lead, with the first quarter ending 14 – 2. For the second quarter Izzy Westwood switched to GD and Lydia Haggis went to GK with their partnership working much better within the circle. Molly Hunt, Katie Bradley and Sophie Bardsley worked hard to get the ball into the circle. Despite Wellingborough’s strong shooting Ratcliffe continued their momentum and drew the third quarter. The girls finished strong, however, the first quarter proved too much to recover from, with Wellingborough taking the win. Player of the Match was Molly Hunt and Coaches’ Player of the Match was Sophie Bardsley for her all-round superb performance both in attack and defense. The U12B played Wellingborough School and lost 8 – 2. The girls showed great passing and movement throughout and adapted to the weather well. At half-time the score finished 4 – 2. The girls continued to play well and worked hard, however, we were unfortunately beaten on the day by the better team. Player of the Match was Olivia Monkhouse and Coaches’ Player was awarded to Isobel Urwin. The 1st team hosted Loughborough Grammar in the first round of the England U18 Plate. The game was arguably the best the 1st team have played all year but they could not find the goal and lost 1 – 0. Ratcliffe dominated the first half but in the second half Loughborough had some good chances and Player of the Match Harry Culpin pulled off some great saves to keep the score level. Ratcliffe then had a great chance to take the lead through a penalty stroke but could not convert. Loughborough shortly after scored the only goal of the game. A good performance with Ratcliffe learning the harsh lesson that you must take your chances. The 2nd team played very well against Abbotsholme School 1st team. Although the boys lost 2 – 0 it was a very good performance with the only thing missing being goals. The team defended well and with a slightly better first touch would have scored. This was a good test for the team which they passed with flying colours. Player of the Match was Harry Cusack. The U14s dominated the first half, rucking hard and dominating territory only to be held up on a number of occasions on the Loughborough try line. Unfortunately, toward the end of the half, in the one foray into the Ratcliffe 22, Loughborough spread the ball well and scored a good try in the corner. The second half was another closely contested affair with both teams defending well until Loughborough scored again from a good set piece move. Ratcliffe came back very strongly in the last fifteen minutes, scoring a try under the posts through Phelton Tandoh that was converted by Cameron Mulvihill to make the score 10 – 7 and only one score difference. Ratcliffe kept pushing but, unfortunately, could not get the final try to take them to victory. Well done to the whole team on their fantastic attitude and effort throughout. Tyler Black and Harvey Henderson had good games in the forwards. David Seidu and Samson Kwok made some excellent tackles in the backs but Man of the Match goes to Phelton Tandoh for his superb tackling and powerful running throughout. 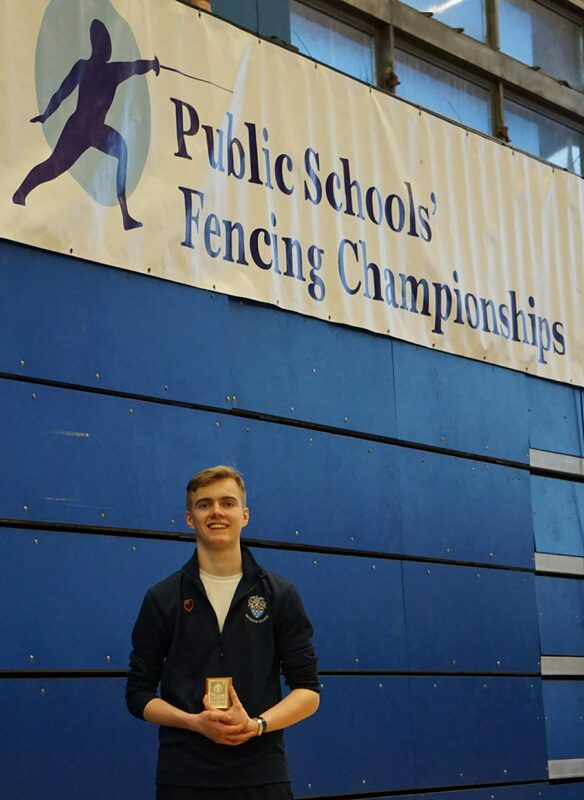 On Tuesday 12th of March Finn Nobel took part in the Public Schools Fencing Championship held at National Sports Centre, Crystal Palace, representing Ratcliffe School for the last time. 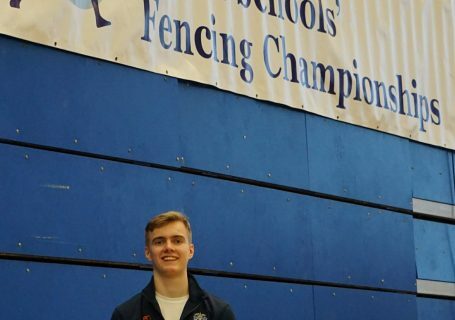 Finn started the competition extremely well winning his first poule round with 4 wins out of four this placed him 5th out of a field of 84 fencers. His next poule round went well winning 3 out of 4 matches only losing the 4th by one point. This meant he was placed 11th after the poule rounds finished and gave him a bye into the last 32 knockout round. 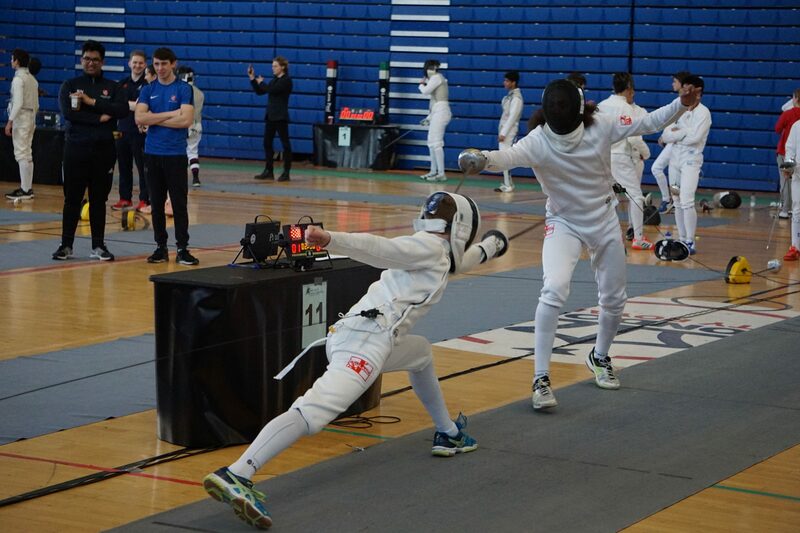 The last 32 match was a comfortable victory with Finn winning 15 – 6. 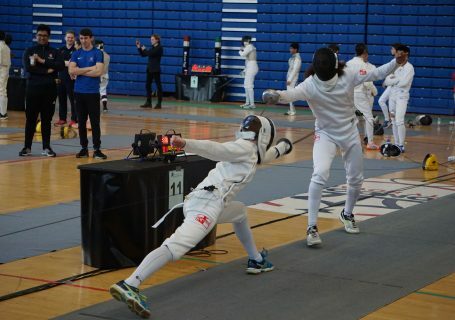 His last 16 opponent was an experienced and accomplished fencer and Finn fenced brilliantly to win 15 -9 which meant he was through to the quarter finals and secured his best ever position in the competition. The quarter final was a tense and contentious match with Finns opponent using tactics we have never seen before. However, Finn remained calm, respectful and sportsmanlike throughout and was unlucky to lose the match 15-14 but this secured him a 7th place finish which was a fantastic result getting him a finalist’s plaque. A fantastic day and Finn was a credit to Ratcliffe College. Well done Finn! Congrtaulations to Mia Atkinson who this weekend ran at the English Schools Athletics XC in Leeds. Mia had a great race having nursed a quad strain over the last few weeks, coming a veryb impressive 8th out of 315 runners in the Senior Girls race. This is Mia’s best cross-country performance at national level and she was delighted that her legs managed to hold up for the duration of the race (especially given the thick Leeds mud that the girls were contending with). Another great achievement for Mia, and just reward for all hard work.